The whole of our race is naturally adapted to society. For evils proceed from vice alone. It is a beautiful thing for a grandfather to be conducted by the hands of his grandchildren. Hence, I say, it is necessary that every passion and disease of the soul should be removed from him who intends to act well by his country. For evils proceed from vice alone, but the Gods are of themselves the causes of good, and of whatever is advantageous; while, in the meantime, we do not admit their beneficence, but surround ourselves with voluntary evils. For since our parents are gratified by the attention which we pay to those whom they love, but we are in a most eminent degree beloved by our parents, it is evident that we shall very much please them, by paying a proper attention to ourselves. In the next place, a man should consider that after a manner his brothers are parts of him, just as my eyes are parts of me; and likewise my legs, my hands, and the remaining members of my body. For brothers have the same relation to a family considered as one thing [as the parts to the whole of the body]. Hence nature, as not being ignorant of the purpose for which she generated us, produced each of us accompanied, after a certain manner, by an auxiliary. 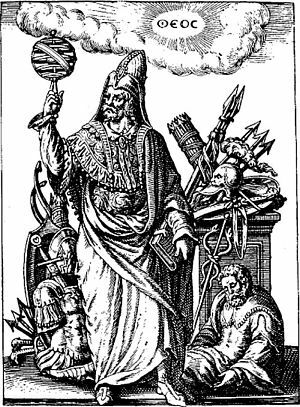 No one, therefore, is alone, nor does he derive his origin from an oak or a rock, but from parents, and in conjunction with brothers, and kindred, and other familiars. On which account I have frequently wondered at those who conceive that the life with a woman is burdensome and grievous. For a wife is not by Jupiter either a burden or a molestation, as to them she appears to be; but, on the contrary, she is something light and easy to be borne, or rather, she possesses the power of exonerating her husband from things truly troublesome and weighty. For there is not any thing so troublesome which will not be easily borne by a husband and wife when they are concordant, and are willing to endure it in common. Since of attentive regard, therefore, one kind pertains to the body, but another to the soul, we shall readily perform what each of these requires, if we are willing to do that which reason persuades us to do. But reason persuades us to pay less attention to the body than to the soul; though attention to the former is necessary. We should, therefore, procure for our parents liberal food, and such as is adapted to the imbecility of old age; and besides this, a bed, sleep, unction, a bath, garments; and in short, all the necessaries which the body requires, that they may never at any time experience the want of any of these; in thus acting, imitating their care about our nurture, when we were infants. For are not even savage animals, and such as are naturally most hostile to our race, and who are taken away by violence, and at first are detained by chains, and confined in iron cages, are rot these afterwards rendered mild by a certain mode of treatment, and by daily supplying them with food? And will not the man who is a brother, or even any casual person, who deserves attention in a much greater degree than a brute, be changed to milder manners by proper treatment, though he should not entirely forsake his rusticity? In our behaviour, therefore, towards every man, and in a much greater degree towards a brother, we should imitate the reply of Socrates to one who said to him, "May I die unless I am revenged on you." For his answer was, "May I die, if I do not make you my friend." Every animal, therefore, lives conformably to its natural constitution, and, by Jupiter, in a similar manner every plant lives agreeably to the life which is imparted to it. Only there is this difference between the two, that the latter do not employ any reasoning, or a certain enumeration, in the selection of things which they explore; as they make use of nature alone, because they do not participate of soul; but animals are led to investigate what is proper for them by imaginations and exciting desires. To us, however, Nature gave reason, in order that it might survey everything else, and, together with all things, or rather prior to all things, might direct its attention to Nature herself, so as in an orderly manner to tend to her as to a very splendid and stable mark, and choosing every thing which is consonant to her, might cause us to live in a becoming manner. THE first admonition, therefore, is very clear, easily obtained, and is common to all men. For it is a sane assertion, which every man will consider as evident. And it is this: Act by every one, in the same manner as if you supposed yourself to be him, and him to be you. For he will use a servant well who considers with himself, how he would think it proper to be used by him, if he indeed was the master, and himself the servant. The same thing also must be said of parents with respect to children, and of children with respect to parents; and, in short, of all men with respect to all. This admonition, however, is transcendently adapted to the alliance of brothers to each other; since nothing else is necessary for him to admit previously, who considers how he ought to conduct himself towards his brother, than promptly to assume the natural sameness of the person of each of them. This, therefore, is the first admonition, that a man should act towards his brother in the same way in which he would think it proper that his brother should act towards him. For, in short, each of us is, as it were, circumscribed by many circles; some of which are less, but others larger, and some comprehend, but others are comprehended, according to the different and unequal habitudes with respect to each other. For the first, indeed, and most proximate circle is that which every one describes about his own mind as a centre, in which circle the body, and whatever is assumed for the sake of the body, are comprehended. For this is nearly the smallest circle, and almost touches the centre itself. The second from this, and which is at a greater distance from the centre, but comprehends the first circle, is that in which parents, brothers, wife, and children are arranged. The third circle from the centre is that which contains uncles and aunts, grandfathers and grandmothers, and the children of brothers and sisters. After this is the circle which comprehends the remaining relatives. Next to this is that which contains the common people, then that which comprehends those of the same tribe, afterwards that which contains the citizens; and then two other circles follow, one being the circle of those that dwell in the vicinity of the city, and the other, of those of the same province. But the outermost and greatest circle, and which comprehends all the other circles, is that of the whole human race. 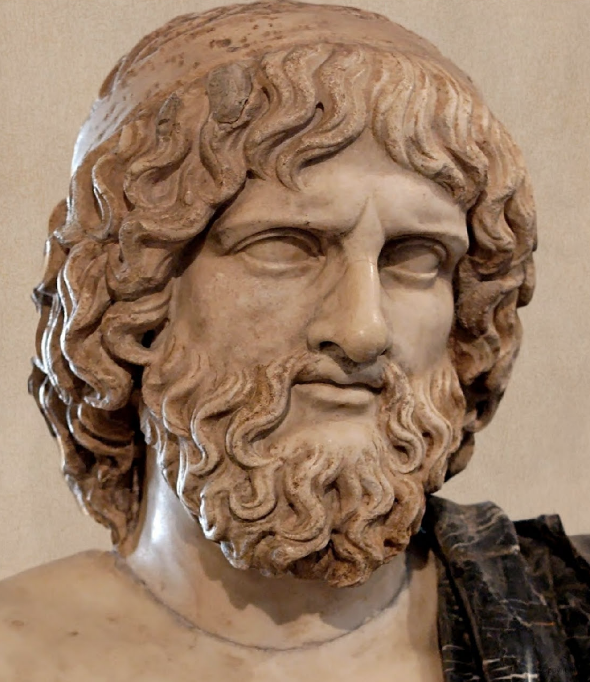 Hierocles was a Stoic philosopher of the Ancient world (2nd century BCE). He is best known for his work Elements of Ethics and he was a contemporary of Marcus Aurelius and Epictetus.